In addition to the traditional click-to-trade model, MTS Repo supports RFQ negotiations and OTC registrations, making it easier than ever to trade repos on the platform and leverage its extensive STP capabilities. 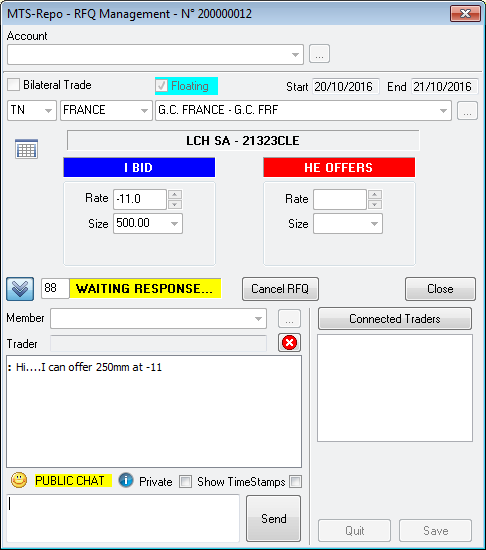 The RFQ feature also contains a messaging facility, opening a new communication channel between dealers. 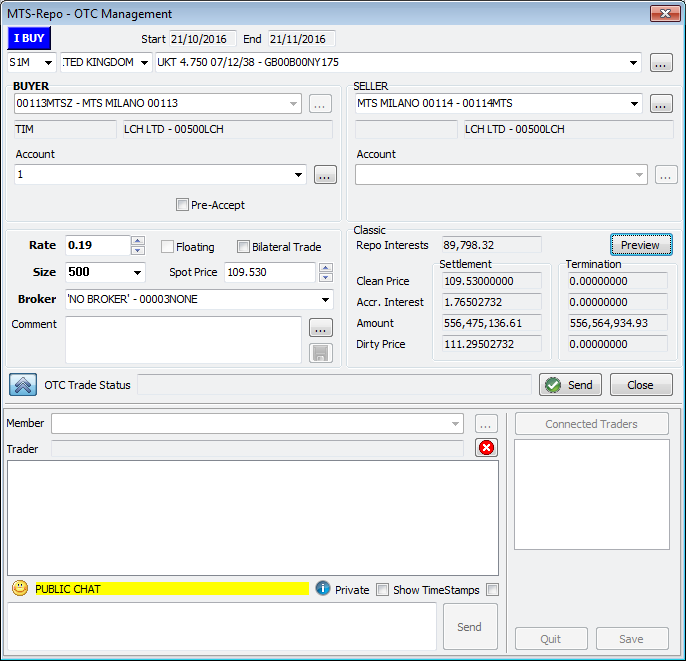 MTS Repo’s dedicated OTC booking mechanism is available for use both by dealers and also by voice brokers looking for an efficient method of booking clients’ trades.